Casual games often get a bad rap. I’ve listened to folks belittle casual games for years, but that doesn’t stop me from playing them. And I play a lot of them. 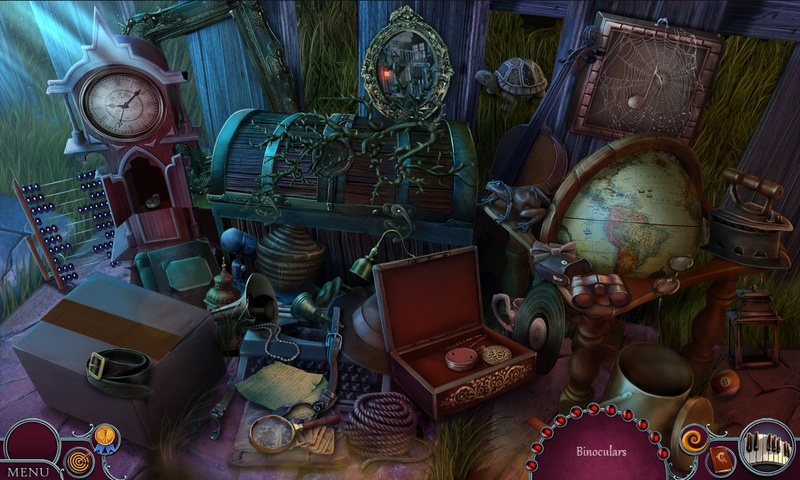 I’m more of a time management sort of gal, but now and then I’ll break that up with a hidden object game, often called IHOG which is short for Interactive Hidden Object Game. 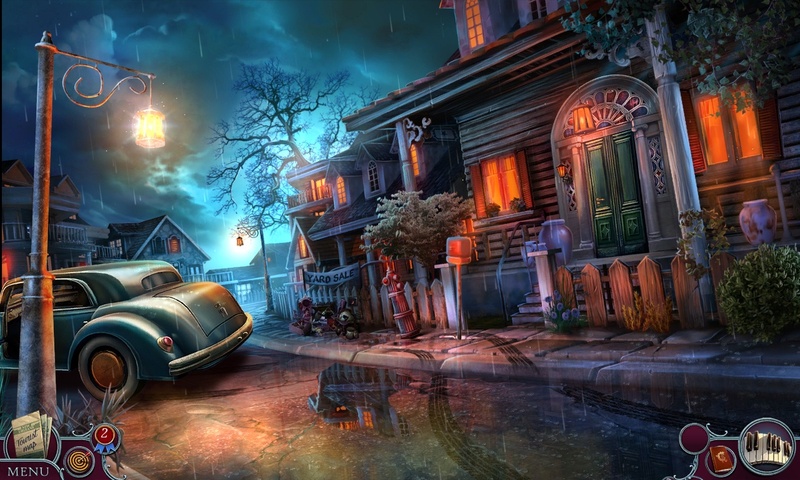 The gist is that you progress the game play by solving puzzles and finding items in hidden object scenes. The puzzles in this game are fairly standard, they’re not anything revolutionary but there is only so much you can do with this genre. It is more about the story and the atmosphere that pushes any IHOG above the rest. 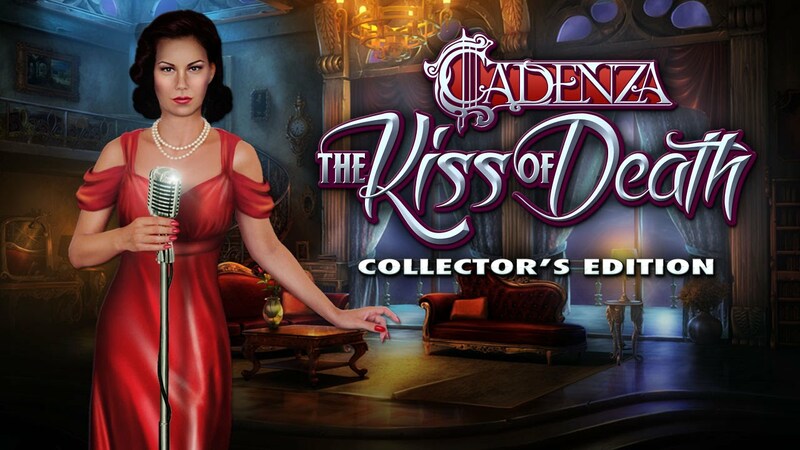 Some do this better than others, and despite being a slightly older title Cadenza: The Kiss of Death Collector’s Edition is one of the best I’ve come across in my many years. There are four main things that make this one of the best IHOGs I’ve come across. First, it has a convincing story line. Second, the main characters and setting are phenomenal. Third, the music and ambiance fit with the story line perfectly. Finally, the main characters are people of color. I think this may be the very first IHOG I’ve experienced where the protagonist isn’t white. Let me break down these points in a bit more detail so you can see just how great the game is. The setup and story line in this game are superb. It involves real people in real life situations. There’s nothing mystical or demonic about it. You’re not some sort of paranormal expert who of course has to look like a 15-year-old girl. No elderly father/grandfather/uncle writes them to ask for help. It has a believable feeling to it that other IHOGs simply don’t have. You play as a woman in New Orleans preparing for her wedding. Your soon-to-be husband is a local jazz musician and gets himself into quite a pickle that only you can save him from. The game progression takes you from the wedding area to a local jazz club all the way to a swamp village and even a police station. Every area you enter is beautifully rendered and fully immersive. You find yourself very drawn to the scenery and I thoroughly enjoyed exploring each scene looking for clues and puzzles to solve. Let’s discuss the visuals and the main character’s design. The New Orleans setting is beautiful. They did a great job with the buildings and environment. The house at the beginning has the French influence of the larger houses in the New Orleans suburbs and every scene is beautifully drawn. And the main character is the best I’ve come across in an IHOG. Whomever does the voice acting for the protagonist does a phenomenal job. She has the perfect New Orleans accent without it being too much. She has a personality that comes through in her dialog portions that is missing from many of these types of games. And as mentioned above, she’s a person of color. I cannot remember a single other game of this variety that had a person of color for the protagonist and it was a refreshing change. One I’d like to see more of. The music in this game is superb. How could it not be when the setting is New Orleans, right? You spend a fair amount of time in a jazz club so you hear some great music during those scenes, but even the background music is far superior to any other I’ve experienced. The vocals of the lead singer are full and throaty as befits the musical style. With all of the above, the question to be answered is, does the game stand above the rest? In short, yes. Heck yes. It has great IHOG mechanics, fun and challenging but not impossible puzzles, and I found myself lost in the ambiance. The story line is compelling and the music is pure ear candy. If you are a fan of IHOGs and have not played this title, please do so immediately. New to the genre? You could do far worse than this one for your first try. I highly recommend the game.